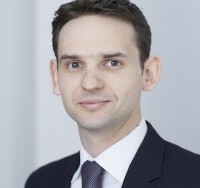 Andrew is a barrister practising from Matrix Chambers in London. He is an employment law specialist, and has a keen interest in sports law and sport generally. His Matrix profile (including Directory recommendations) may be viewed here. Been instructed on a dispute relating to membership of the Professional Speedway Elite League (led by Rhodri Thompson QC). Andrew is one of the authors of Football and the Law (Bloomsbury Publishing); and was invited to speak at a 'Player Contracts Conference' where he presented a seminar on 'Calculating Compensation for Contract Breaches', pursuant to Article 17 of the FIFA Status Regulations (a review of which can be read here). Andrew's other sports law publications include an article in the Entertainment and Sports Law Journal entitled 'All Bets Are Off: Match Fixing in Sport - Some Recent Developments'. Andrew is a regular contributor to LawInSport and has written articles on the Hendre Fourie rugby case, sexual orientation discrimination in sport and the Financial Fair Play Regulations (see Part 1 and Part 2 of the FFP article here). How will Blatter and Platini challenge the decision of the FIFA Ethics Committee?